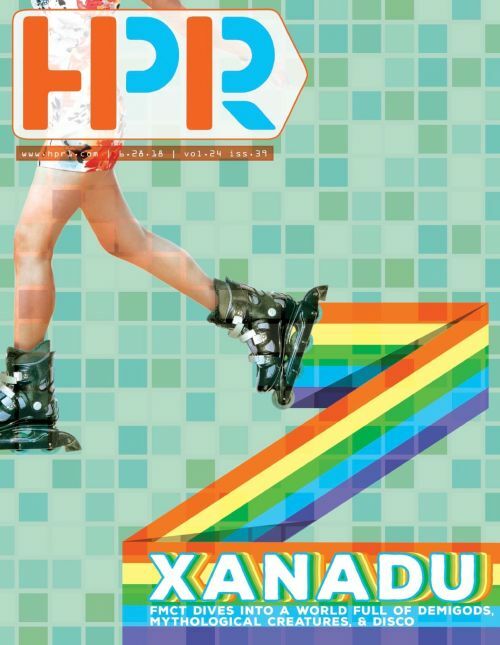 Get ready to dive into a world full of demi-gods, mythological creatures, and plenty of disco balls when you see Fargo-Moorhead Community Theater’s exciting first show of its 72nd season: “Xanadu.” Take a ride through the life of a struggling artist and watch as a goddess helps him find the key to his happiness, discover true love, and create the world’s first roller disco. This is one show the whole family can enjoy! Based on the infamous cult-classic movie with stars Olivia Newton-John and Gene Kelly, “Xanadu” brings you the absurd and delightful story of a struggling young artist inspired to follow his dreams. 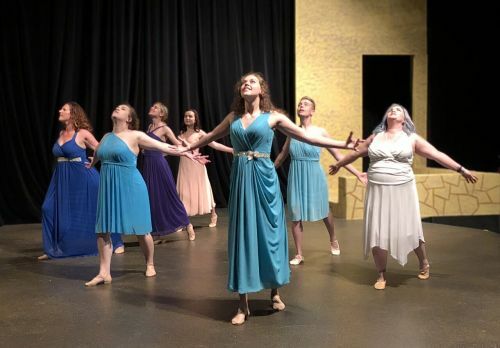 “This show can best be described as wacky, but in a very fun and good way,” Hardy Koenig, director of “Xanadu” and head of the theatre department at NDSU, said. This 80s movie was nominated for a handful of Tony awards including Best Musical, and was performed recently as a musical on Broadway. What’s unique about this show is the size of the cast and ages involved. “We have only nine actors who play lots of roles and move from character to character, sometimes with not much time in between,” Koenig said. This show is not a kid’s production, as the FMCT summer shows typically are. The show in general is unique in its nature, and while it isn’t a super well-known piece to most, the musical score involved should be recognizable to some. Every show has its challenges, but the challenges of this show have been particularly fun according to Pankow and Koenig. “From my stance as the artistic director and the one coordinating all the pieces of production, there are interesting things like trying to find roller skates for a cast of nine people – those old, vintage roller skates for the roller disco part at the end of the show,” Pankow said. There’s also the very wacky challenge of creating various props and mythological creatures, such as a Pegasus, centaur, and Medusa head, which audience members will see on stage throughout the show. Really tight harmonies, energetic choreography, and thick, off-the-top comedy will be coming at you strong in this unique show, and rehearsals are in full swing at this time. Camille Federowich is the choreographer for the show, guiding the crew with their roller skate dancing; Karen Hamilton is the music director for this cast of powerhouse voices; and Aimee Klein is the pianist and pit director, fearlessly leading the orchestra through this thrilling musical score. “Just listening to that music, humor, and comedy coming from the stage during rehearsals, I’ve a hard time concentrating on my work in the office; I just really want to be in there,” Pankow said. While construction is underway on 4th Street in Fargo, FMCT and its parking lots are still accessible through construction on 4th Street from the north side. So if you’re ready for the throwback of legwarmers, tall socks, and headbands, be sure to snag a ticket or twelve to catch this hilarious, dynamic musical by visiting fmct.org or calling the office at (701) 235-6778. Public Performances: July 11 – 14 | 7:30 p.m., July 15 | 2:00 p.m.